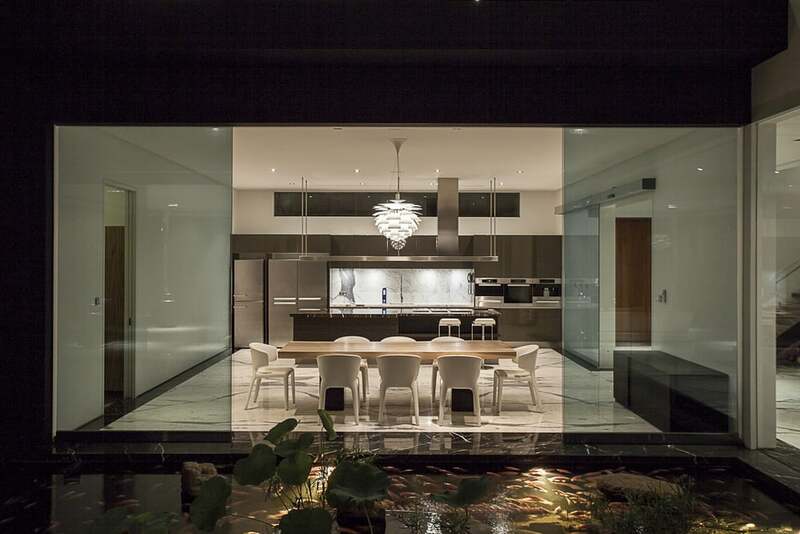 Located on Sentosa Cove, this house is situated barely 30 metres from the shoreline. It has a magnificent view of the Indian Ocean, and a gentle breeze from the sea that streams in throughout the day. The use of full-height frameless glass accentuates the reflective qualities of the sea and the infinity-edge pool, which is located between the sea and the main living space. The glass also allows the interior space to meld with the external environment. Lines and details are kept sleek and minimal to allow uninterrupted views of the ocean throughout the house.